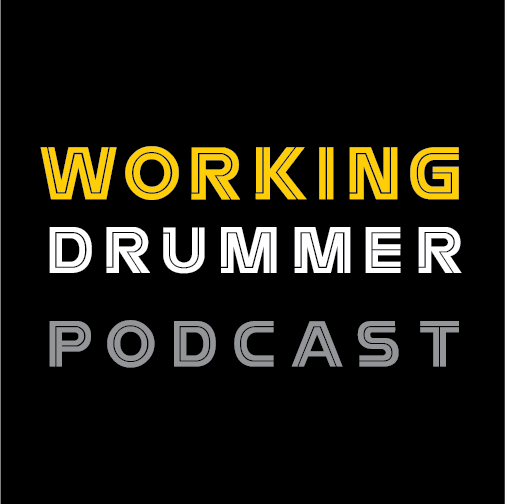 As drummers, we are instinctively driven to explore new sound textures and rhythmic patterns to stimulate our musical creativity. In the analog world, we do so by playing drums of various construction, different types of sticks, mallets, brushes, heads, dampening methods, and so on. However, sometimes moving forward means reaching backward to our roots. When drums were first made in ancient times, animal hides were used for drum heads. Calfskin became quite commonly used as it was relatively cheap and available as a bi-product of food production. These heads had a particularly warm sound that many enthusiasts still prefer today. However, calf heads increased in price over time relative to modern plastic polymer heads (which came about in the 1950’s), and were more subject to temperature fluctuations (i.e., the reason why many vintage drums had light bulbs on the inside to warm them when cold). Calfskin heads, and even some wonderful kangaroo skin heads are available but remain pricey. 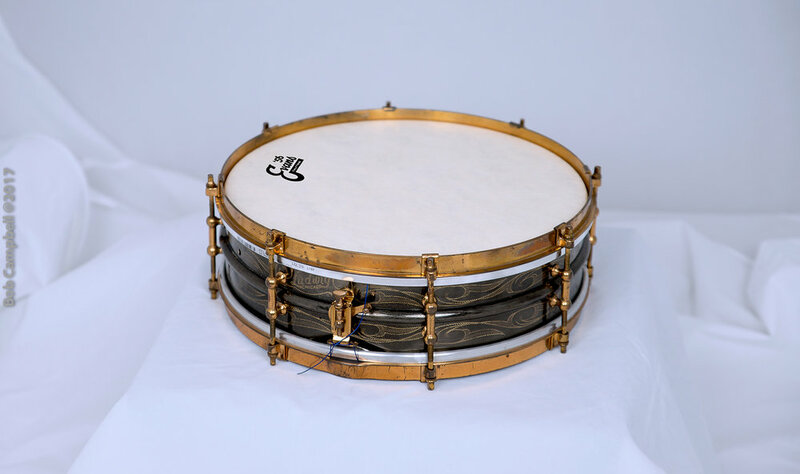 Various drum head manufacturers recognized the need for a calfskin-like sound and set to work experimenting with synthetic alternatives. 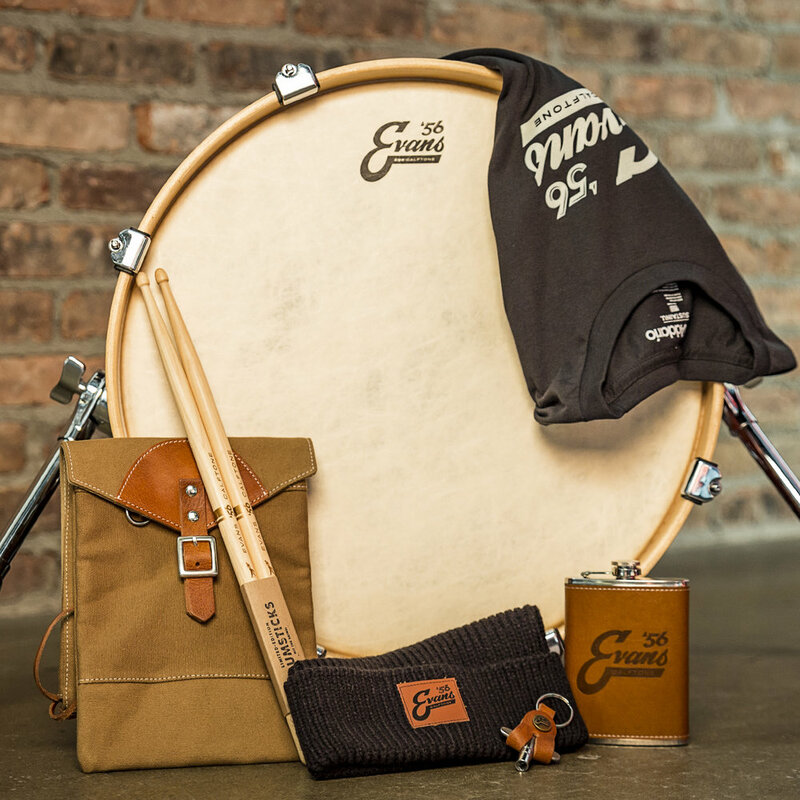 The Aquarian Vintage™ series and Remo Fiberskyn™ are the result of these efforts. D’Addario/Evans has also spent considerable time trying to satisfy those looking for that “vintage calfskin sound” by designing a unique synthetic hybrid, the Evans ’56 Calftone. The Evans ’56 Calftone combines D’Addario's Level 360 Technology™ for optimal consistency, fit and tuning made from polyester films that are “blended with unique materials” to embody the look and feel of natural animal skin. While at PASIC 2016, I had the pleasure of chatting with Sergio Bonsignore, Product Manager at D’Addario/Evans, and he gave me more detail about these intriguing new drum heads. 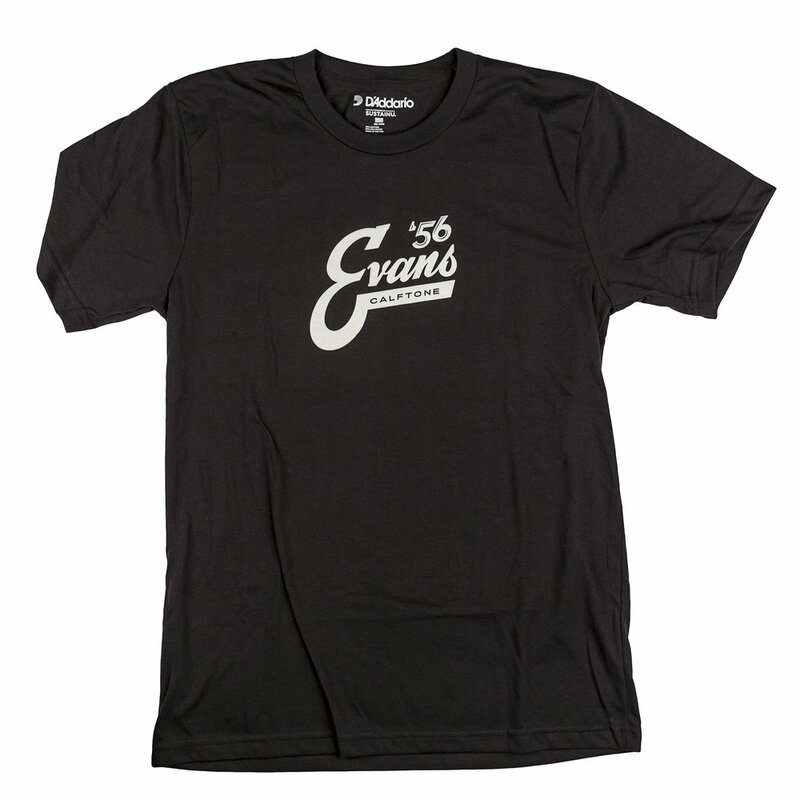 How did the idea of the Evans ‘56 Calftone come about? Is there a target audience for these heads? Can you tell us a bit more about the design of these heads? There are different versions of the Calftone heads for bass drums? I am always trying different heads on my modern and vintage snares, as this adds to the sound palette of each drum. I put a set of the Evans ’56 Calftone heads on my late 1990’s birch Premier Genista 5-piece kit (my primary gigging set-up)…and was not disappointed. It was like playing calfskin, but with a bit more focus, response and attack. I especially loved the low frequencies that came out of my 22” bass drum (EMAD Calftone) and 16” floor tom. I also put a 14” Evans ’56 Calftone on one of my 5 X 14”, 1920’s scroll-engraved Ludwig Black Beauties. I often get uneven responses across an old calfskin head. This was not the case with the Calftone; it was very consistent and sounded quite warm. So overall, I’m really digging these heads. They met my expectations and more, delivering great sound on both my modern Genista kit and vintage Black Beauty. I expect to get questions about head durability. I play a variety of music and will be further checking these out at all volumes, pounding them heartily. Check with me in a bit to hear how they’re holding up and please share your Calftone experiences with me at fallendrummer@mac.com - love to hear from you! Many thanks to Sergio Bonsignore for his time and assistance in writing this article, and Nick Barbieri for turning me on to the Calftones!